Click the 'Preview' and 'Free Sample' icons under each product below to access the samples. 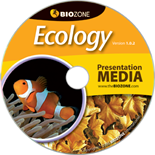 The Classroom Guides complement BIOZONE's Student Workbooks, providing a wealth of information on how to use these resources to best effect. Strategies for effective differential instruction and achieving key competencies in areas such as literacy are described. BIOZONE's AP BIOLOGY 1 Student Edition has been written for the amended AP Biology Curriculum Framework. Clear diagrams, concise explanations, and targeted learning objectives accompany intelligent questioning to create an innovative resource that encourages achievement in students of all abilities. AP Biology 1 Student Edition is well suited for classroom or homework use, independent study, review, and extension. BIOZONE's AP BIOLOGY 2 Student Edition has been written for the amended AP Biology Curriculum Framework. Clear diagrams, concise explanations, and targeted learning objectives accompany intelligent questioning to create an innovative resource that encourages achievement in students of all abilities. AP Biology 2 Student Edition is well suited for classroom or homework use, independent study, review, and extension. The second edition has enhancements to improve usability and better reflect the equal treatment of the three dimensions of the standards. The Classroom Guide is a teaching resource designed to assist in best use of Biology for NGSS and its features. Biology for NGSS (2nd Edition) Presentation Media series provides an exciting collection of slides that can be used for a lecture-style presentation. 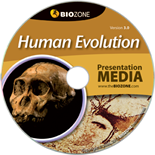 The CD-ROM contains fully-editable slideshow presentations in PowerPoint and Keynote formats to enhance your lessons. Cell Biology & Biochemistry covers the structure, function, and study of cells and their components and is an ideal support volume for a wide range of biology courses. Available 2019 - The Classroom Guide is a teaching resource designed to assist in best use of Chemistry in the Earth System and its features. Upcoming New Series! Scheduled for the 2019 school year, BIOZONE's Chemistry in the Earth System series is written specifically to address an Integrated Chemistry course adaptation of the NGSS program. BIOZONE’s new CIE Biology 1 student workbook has been written for the new Cambridge International Exam specification. 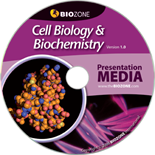 BIOZONE’s CIE Biology 2 student workbook has been written for the new Cambridge International Exam specification. The Classroom Guide is a teaching resource designed to assist in best use of Earth & Space Sciences for NGSS and its features. 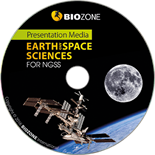 Earth & Space Sciences for NGSS Presentation Media series provides an exciting collection of slides that can be used for a lecture-style presentation. 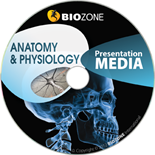 The CD-ROM contains fully-editable slideshow presentations in PowerPoint and Keynote formats to enhance your lessons. BIOZONE’s Environmental Science Student Workbook introduces students to the Earth’s physical and biological systems, and examines the interactions of humans with their environment. 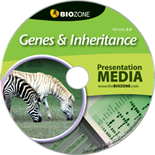 The Genetics & Evolution Bundle includes three presentation media CD-ROMs: Genes & Inheritance, Human Evolution, and Evolution. Also included is a bonus set: Gene Technology. 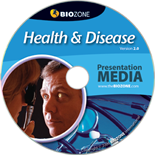 Health & Disease provides students with comprehensive coverage of human health, human disease, and the role of modern medicine in treating and preventing health disorders. 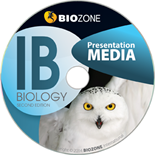 This second edition of BIOZONE’s popular student workbook for IB Biology is for the NEW curriculum commencing September 2014. The Classroom Guide is free to teachers when an IB Workbook is purchased. Available Now! 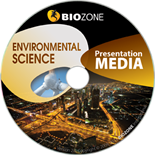 IB Biology Presentation Media series provides an exciting collection of slides that can be used for a lecture-style presentation. Upcoming New Series! Scheduled for the 2019 school year, BIOZONE's Physics of the Universe series is written specifically to address an Integrated Physics course adaptation of the NGSS program. This student workbook and its companion title Senior Biology 2 are suitable for any general biology program and particularly suitable for Honors Biology. An excellent resource for classroom activities, homework, extension and exam revision. This student workbook and its companion title Senior Biology 1 are suitable for any general biology program and particularly suitable for Honors Biology. An excellent resource for classroom activities, homework, extension and exam revision. Skills in Biology provides students with comprehensive guidelines for planning and executing biological investigations in both the laboratory and the field. The Classroom Guide is a teaching resource designed to assist in best use of The Living Earth and its features. 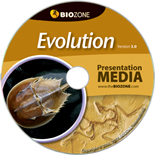 Brand new for the 2018 school year, BIOZONE's The Living Earth series is written specifically to address an Integrated Biology course adaptation of the NGSS program.